Often when I get inspiration to make something new it’s because I have a few crafty things I’ve bought because I like them and something else to “use up”. Suddenly I see that the thing I bought goes well with the leftovers of something else. I bought these silver beads a while ago and I really like the matte silver look. At the time I was thinking of making a more standard necklace or possibly using them on Christmas decorations (yep, it’s been a while since I bought them!). Last week I finally finished making a cotton crochet top. 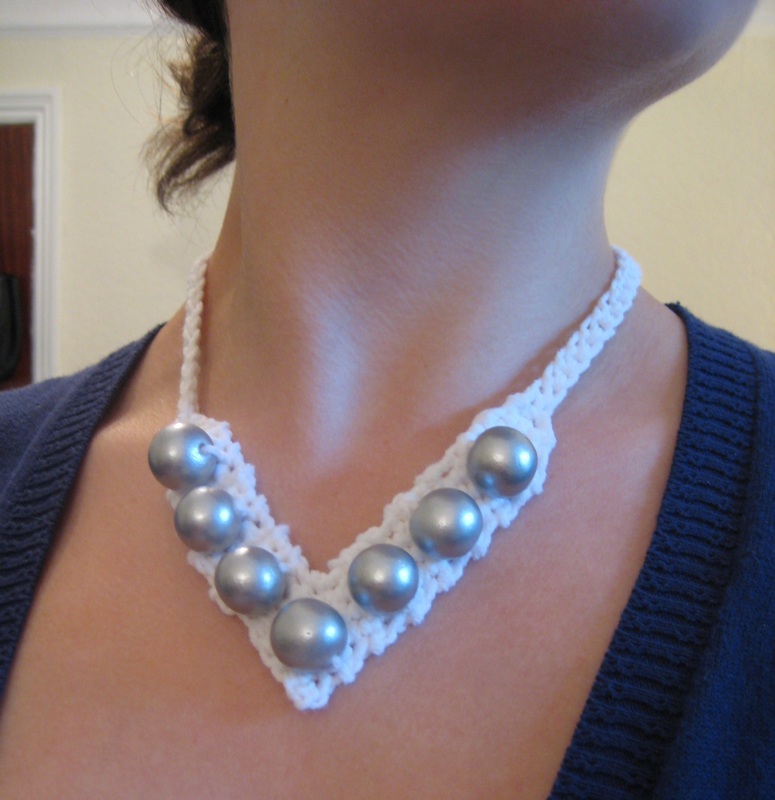 I had only the tiniest amount of cotton left over and wondered if it was enough to make some jewellery out of. I thought the white and silver went well together, so I got my hook out and had a go to see if there was enough yarn left. As you can see there was just about enough to finish it, and although one side is slightly longer than the other you would only be able to tell by looking at the back of my neck! 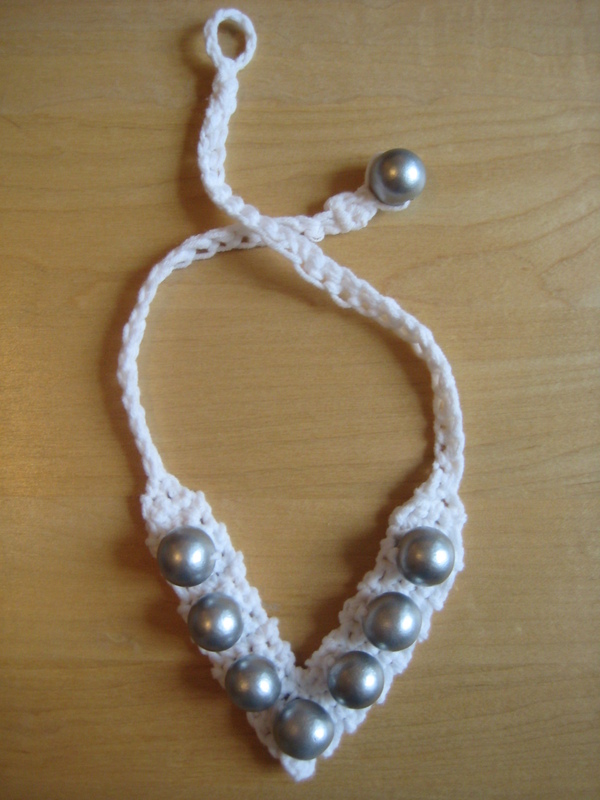 I have put the pattern and related details here if you would like to make one similar yourself.